FY5 3WP Emailveterans-uk@mod.uk Freephone (UK only):0808 1914 2 18 Telephone (overseas):+44 1253 866 043 . 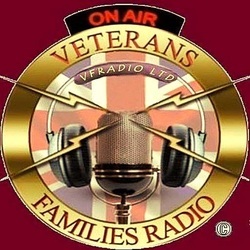 If you have difficulty getting through please re-dial or email us at veterans-uk@mod.uk. When the helpline is closed, callers will be given the option to be routed to Combat Stress or The Samaritans 24hr helpline. You now have 2 ways to view Veterans World online; you can view the magazine as a standard PDF by following the link above or via the ISSUUwebsite, a digital publishing platform that’s free to access. We hope that this option will give you a more enjoyable and accessible way to read the magazine.